Ancient Egyptians are said to have invented the wig prior to the 1600s. It really does not matter who made them first; I'm just happy that the wig was made! Every woman/person who knows the heartache of a bad hair day appreciates the value of a good wig. Indeed, wigs have found new meaning in the 21st century. They are trendy and help all manner of people achieve the desired look conveniently. Wigs also help people maintain their natural hair better. Constant heat treatment and styling of natural hair is detrimental. As a wig lover and wearer, I salute the evolution and prominence of this pivotal beauty item. When looking to buy a wig online, you do not have the privilege to touch and feel it. To this end, knowing how to judge the quality and style is crucial to making an informed decision. This comprehensive resource gives you the tools you need to order the most suitable wig that meets your needs. What exactly is a wig? According to an online dictionary, a wig is a covering made using real or artificial hair. The definition goes ahead to state that wigs are mainly worn by judges and barristers in courts of law or by people who are trying to hide a bald head. In the current day, wigs are popularly worn by women as a fashion statement. With hair or without, many people will wear stylish wigs in a bid to look updated and neat. Wigs also have cultural meanings where celebrities create their brand and persona around certain wig-enhanced looks. Wigs are made using synthetic hair, human hair or a mixture of human and animal hair. Sheep, agora rabbits and horses are some of the most common sources of animal hair used to make wigs. How do you choose the best type of wig to buy? When it comes to wigs, there is no one size or type that fits all. You buy what is tailored to your needs. 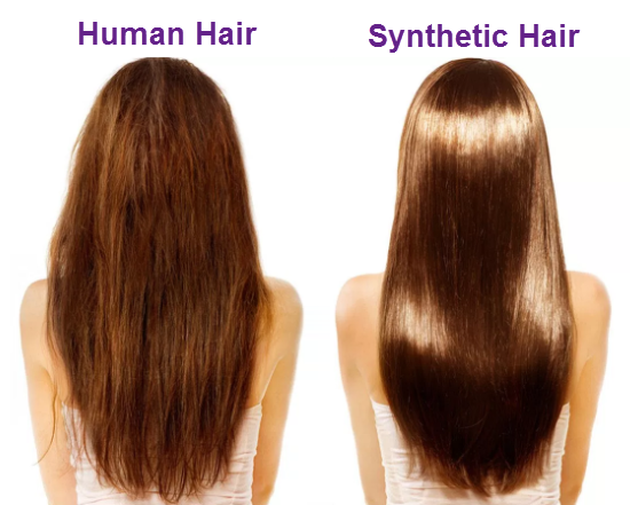 The following factors will determine whether you buy a human hair wig or a synthetic hair wig. Keep in mind that there are synthetic hair wigs that are heat friendly. If you are a penny-pincher, then, synthetic wigs are made for you. They are not just more affordable but they also come in great quality and look very natural. If you do not mind digging deeper into your pocket, you can choose a human hair wig. 2. What are your hair style preferences? If you are the kind of person who thrives by changing their hair look every other day, you need versatile wigs that can be styled to your liking. In this regard, human hair wigs are flexible and can be colored, heat-styled and permed to attain the look you want. If you choose heat friendly synthetic wigs, this is a good option; however, they only last not more than 4 months due to the styling. 3. Do you wear the wig daily? Wearing a wig daily will expose it to the elements no matter the type. Therefore, you need a wig that lasts longer and is more durable. To this end, a human hair wig may really help you. You can wear one for up to a year. You can also choose synthetic wigs that are more pocket friendly. Investing in two or three may help you extend the life of each wig. This can also give you style options to break the monotony. Once you have a general idea of the type of wig you want, it is now time to look into the details. Factors like head size, cap type, color and style will come into play. Wigs must fit perfectly and just like your clothes and shoes, you have to know your size. In general, there are three wig sizes which are; petite, average and large. Most women fall under the average head cap. To this end, the market is full of more style options in this respect. The next popular category of wig sizes is petite where women wear smaller cap wigs. Few women wear the large cap size. Using a measuring tape, get the circumference of your head from the forehead and around your hairline. You can also use a flexible cloth to determine the measurement. If your head circumference results are 20.5 to 21.5 inches, you are a petite cap size. 21.5 to 22.5 inches will indicate an average head cap or size. The large cap falls between 22.5 and 23.5 inches. Many wigs come with adjustment straps to help you optimize the fit accordingly. 1. Classic capless wigs - They are capless and allow hair to breath better. They feature weft rows of hair sewn together. 2. Monofilamnet cap wigs - Hairs are placed on a transparent mesh cap individually. This gives a superior natural look. They are more expensive than classic wigs. 3. Hand tied cap wigs - This is a monofilament cap wig upgrade. It features a hand tied construction where hair is won on a lace fabric for an even better natural look. 4. Lace front cap wigs - With lace fronts, all the above wig types can be enhanced. Hair is sown on very fine lace around the hairline. This way, your wig can be pulled back to achieve a very natural look. Short, chin length, medium length and long hairstyles, there are all manner of wig styles to choose from. Get creative and choose what you fancy most. After choosing the desired style, consider the colors available for the particular piece. Again, this is a chance to do what works for you. Some styling experts may recommend certain colors and wig styles for your head but in actual sense, you should use your personal taste to get what you desire most. If you prefer an expert opinion on head shapes and best styling practices, the following guide is for you. Thanks for your kind words. Will definitely post more informative content.